February 07, 2018 – Discussing the country’s energy policies at the Asia CEO Forum, AC Energy President and CEO Eric T. Francia emphasized the importance of speeding up the passage of the bill on competitive selection process (CSP) referring to Senate Bill 1306 or the Energy Procurement Act of 2016. “We need the competitive selection process as a bridge towards the full implementation of the retail competition and open access (RCOA),” Francia said who considers the bill as the most important bill with respect to the energy industry in the country. The bill, once passed, will institutionalize the CSP to enhance competition and transparency. A centralized CSP, to be conducted by a third party auctioneer, shall be required for all uncontracted demand of the captive market. Also, power supply agreements, contracts, and forms shall be standardized for ease of review and comprehension, which will be available to public through an online electronic portal, together with other information related to the CSP. 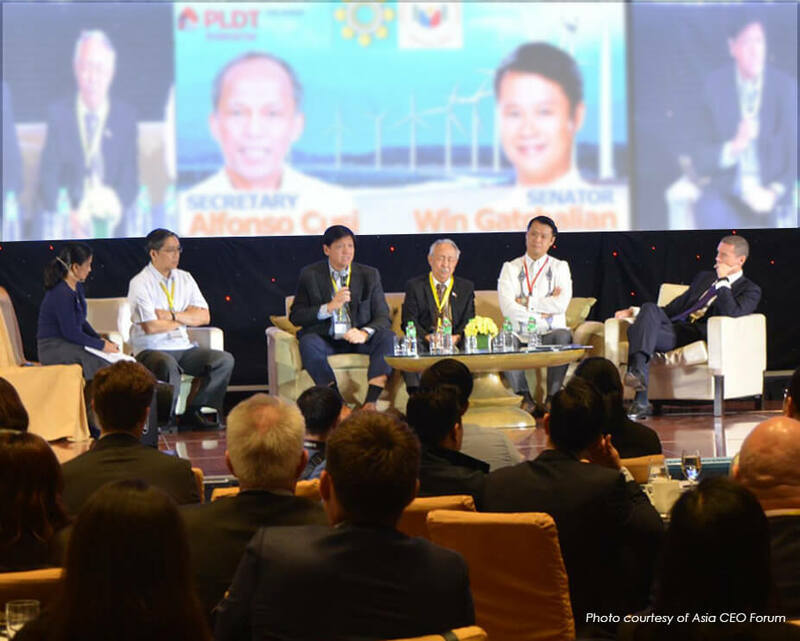 Also in the same discussion panel were Senate Committee on Energy Chairman and bill author Sen. Sherwin T. Gatchalian, DOE Undersecretary Jesus Cristino P. Posadas, Vestas Asia Pacific CEO Clive Turton, and Meralco Vice President Lawrence S. Fernandez.